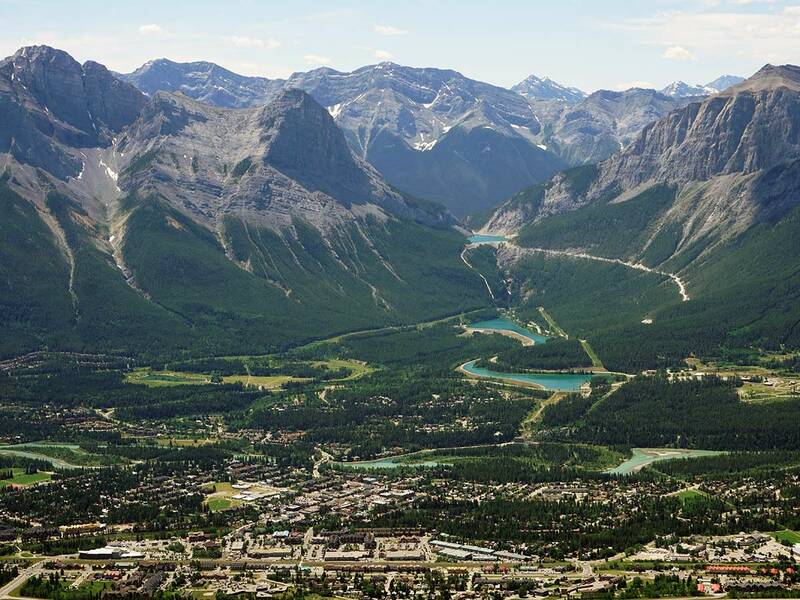 The town of Canmore is a great base for hiking, with a great mix of challenging hikes and great family strolls. Located just outside Banff National Park, and approximately 15 minutes drive from the town of Banff, you’ll mostly meet locals and Calgarians when out hiking. 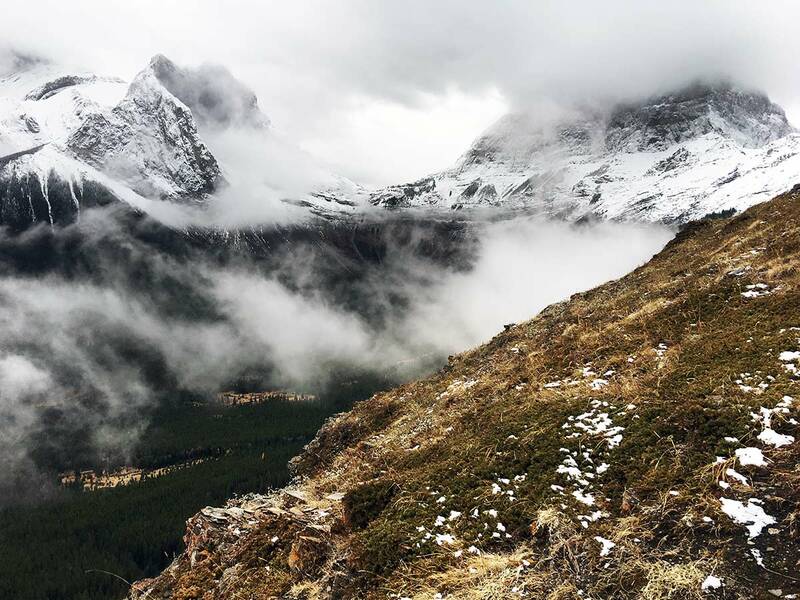 The top 10 Hikes around Canmore range from incredible ridge-walks, exciting summit’s and wonderful family-friendly strolls. You’re going to love these hikes! The hike up Heart Mountain is exhilarating, however it is the ridge walk along the Horseshoe that we think is the highlight. We love this hike, though make sure to pay attention along the route, it’s easy to get off-route on the ascent. The Wind Ridge hike starts near Dead Man’s flats and the old Pigeon Mountain ski hill. The first 15 minutes has challenging route-finding because of the 2013 floods, once you gain the ridge the views are stunning. 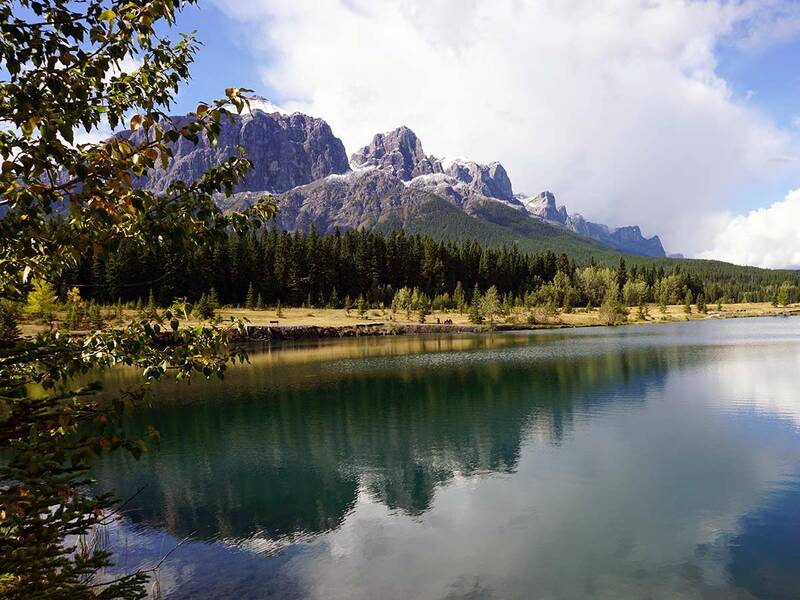 This Classic Canmore hike is one of the favourite hikes near Canmore for families. 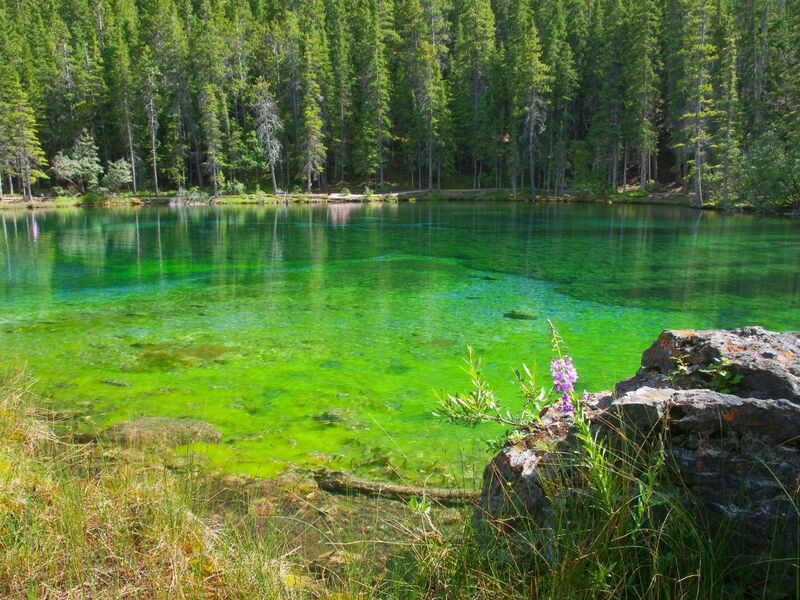 Offering an easy and challenging route, Grassi Lakes Circuit is a great hike for the family. Get here early on weekends. Really early! 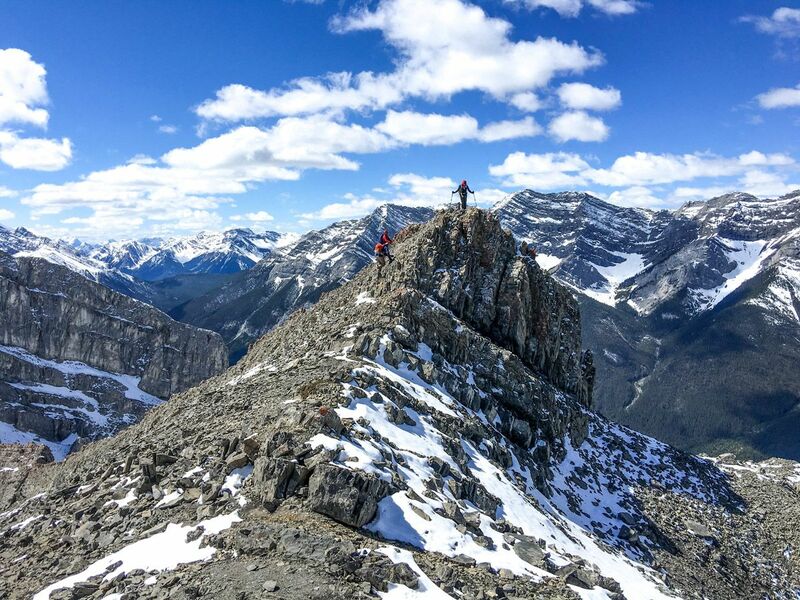 The hike up Ha Ling is an iconic Canmore hike, and the first summit for many locals. Rising above the town, this is a busy trail year-round. 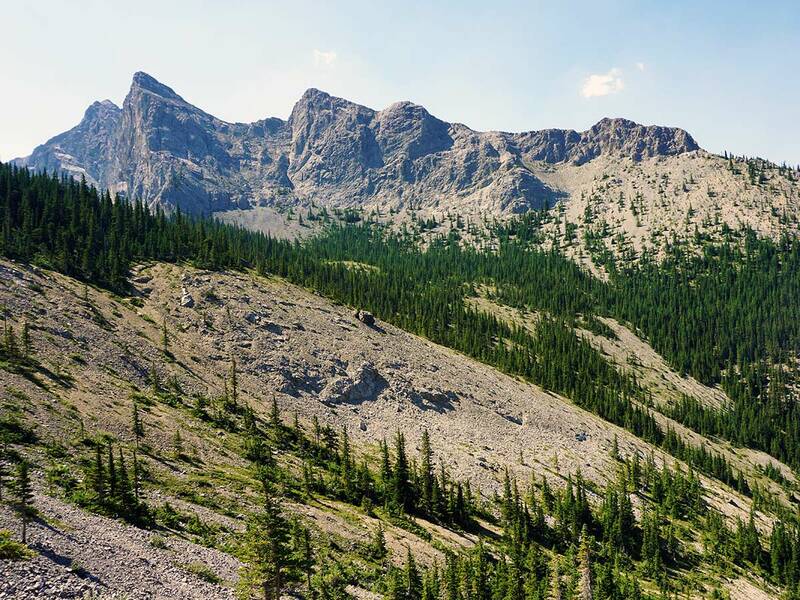 We like adding in the nearby Miner’s Peak and the Three Humps to make this hike even more special. Note that there is some construction in 2018 which may close the trail at times. Shhh. Quarry Lake is a locals secret. Hiking around Quarry Lake will keep you coming back again and again. Great for families, you can swim in the lake on hot days. 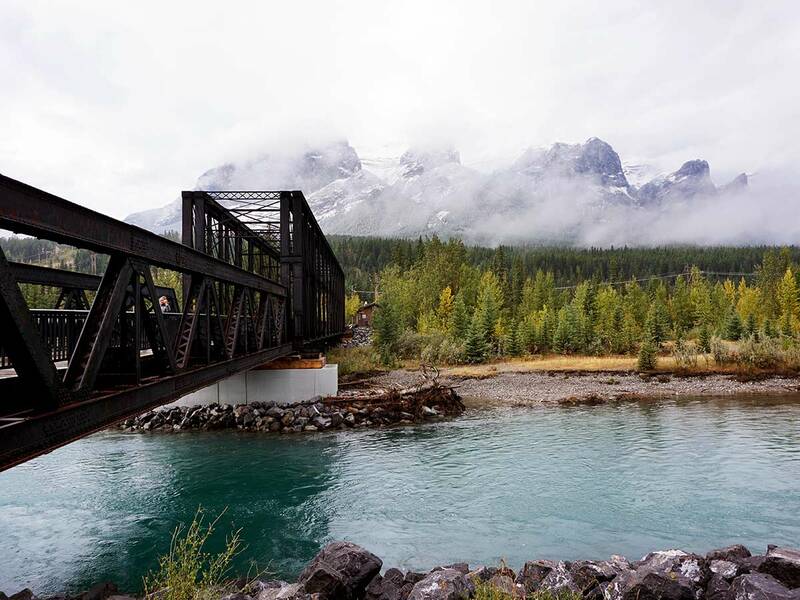 Families and visitors to Canmore will love this hike, as it allows you to stroll along the great shops of Canmore’s main street before walking along the Bow River to the Canmore Engine Bridge. You end the hike in Riverside Park, a great place to enjoy a picnic and mountain gazing. This is a great hike year-round. Another Classic that rises right above Canmore. The hike to the Lady MacDonald has everything you want in a hike, but alas not a tea house, it was destroyed in 2013! Don’t underestimate Mount Yamnuska. 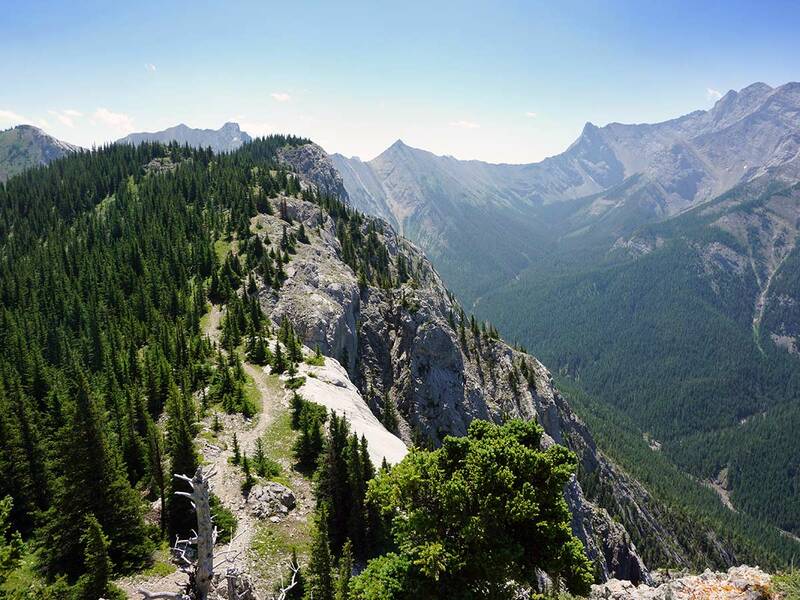 This iconic mountain is popular, however hiking the circuit around Mount Yamnuska is challenging. The famous “Chain” section terrifies a fair number of hikers. Not a good hike if you don’t like exposure of heights. Hiking along the Bow River is lovely. 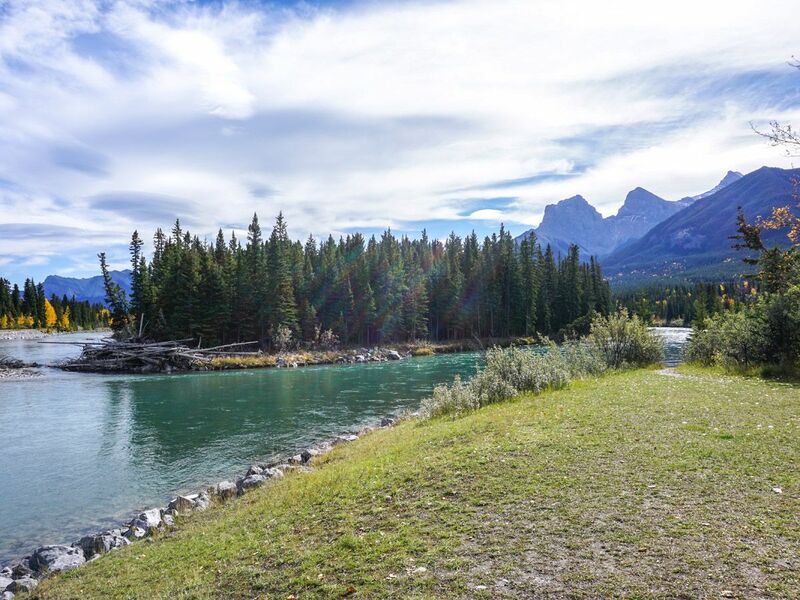 We love to walk between Three Sisters and Main Street in Canmore, as this is a great way to explore this beautiful stretch of the river. With great views and well-maintained trails, this is a fun day out for families! 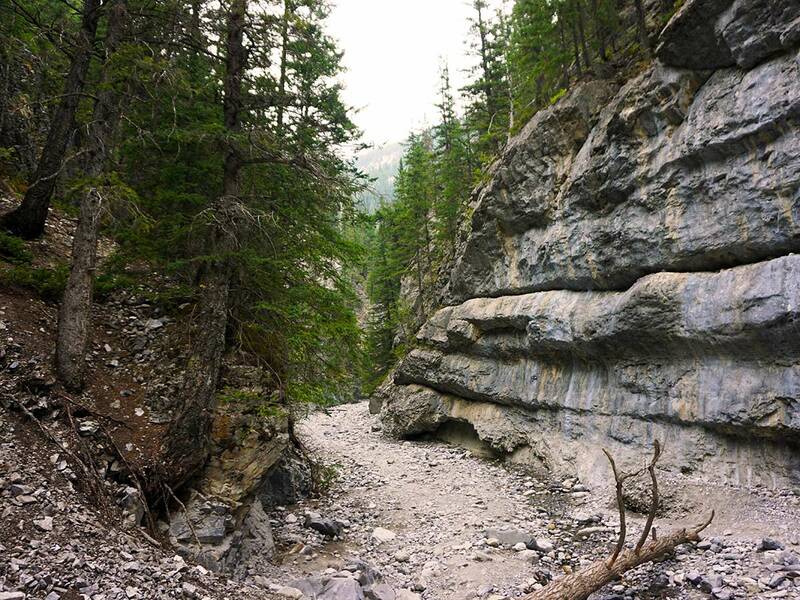 Grotto Canyon is another family favourite near Canmore. While the famous pictographs are fading and hard to see, little ones love to explore this unique canyon.